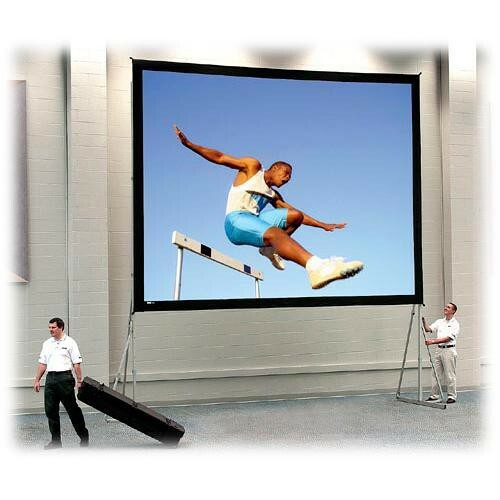 The Dalite 11 x 11' Heavy Duty Fast-Fold Deluxe Projection Screen is the way to go when you need a free standing portable screen that easily sets up and knocks down. Make no mistake, Fast-Fold Screens are designed with heavy use in mind. The rugged aluminum tube legs use easy release latches to set up (without tools). The screen material is backed by a black opaque material that produces a clean, crisp and bright image.